The Centre for Indian Bamboo Resource and Development (CIBART) is promoting furniture made from bamboo to Indian consumers, institutions, government departments, forest departments and schools. Under its Bamboo Livelihoods Business Enterprise Project, CIBART is working towards strengthening bamboo production and processing by South Gujarat tribal community members. This enables commercial market linkages and sustainable employment, which in turn creates enhanced income and improved quality of life. People belonging to the Kotwalia tribal community are the target beneficiaries of this project, and have been trained intensively in the furniture-making process since 2010. One of the furniture items promoted by CIBART is the school bench. There is enormous demand for school desks and benches made from bamboo. 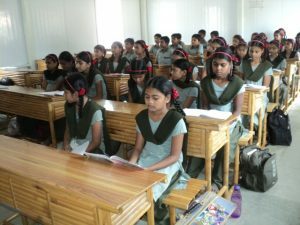 In 2011, CIBART supplied school benches to EMRS Government School in Songadh, Tapi district. After receiving positive feedback from school authorities, CIBART went on to target all government schools in the State. The desk tops have since also been changed by introducing bamboo ply. Since their introduction, the bamboo school benches have gone from strength to strength. In 2013 the State Tribal Development Residential Educational Institutions Society, after assessing the product quality and durability, decided that all Society-managed schools would procure bamboo school furniture through CIBART. This has been a major success in the sector, as bamboo furniture has officially been mainstreamed for the first time in the country. The increased school bench orders have brought about significant long term benefits to rural communities by providing employment opportunities. 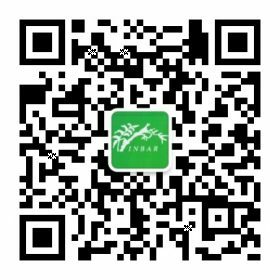 The Centre for Indian Bamboo Resource and Development (CIBART) is an independent non-profit organization set up by INBAR through its work with IFAD. It has gone on to become a highly successful national partner in India implementing action research on bamboo livelihood development in several states across India.